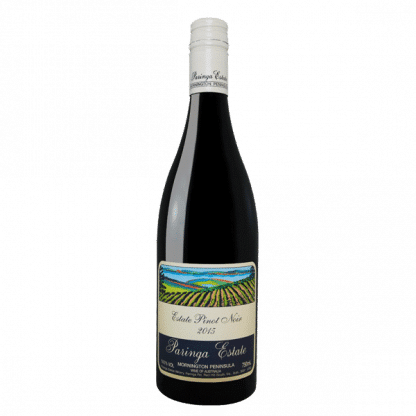 This wine has complex lifted aromas of red fruit / dark cherries supported by spicy, savory oak. 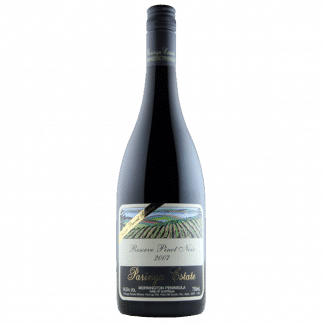 The palate has attractive spicy dark cherry flavours, fine grained tannins that combine to produce a lovely textural mouthful. A very typical Paringa Pinot noir with great power, but poise and elegance as well. Becoming a Paringa Wine Club member is easy, simply commit to purchasing two dozen each year. Choose from our two wine club options or create your own custom pack which is delivered to your door in May and November and start receiving member benefits immediately. Keep up to date on special offers, new release, big reviews and events at cellar door. Can I choose my own wines? Yes, select the Choose Your Own Pack, the frequency of delivery you need, and then select the wines that you have a yearning for. You are in complete control, because you know what you like. Can I leave the wine choice up to you? For sure. If you don’t want to worry about which wines arrive or you just love a surprise, we will be happy to put a pack togetherjust for you. Our winemaker knows their stuff, so feel free to leave it to them or get a decent spread from our Peninsula of The Paringa club packs. What happens when the vintages change? We will roll the wines onto the next vintage, so you won’t miss out. If by any chance we don’t make that particular wine that vintage we will get in contact to let you know. It’s farming after all and anything can happen. Your subscription includes free shipping anywhere in Australia. As members of the Wine club, we also provide free shipping on any extra purchases you make. Can I update my own details? Yes, you can manage EVERYTHING when you log in to your account- from the wines you want to your delivery details. Click here to access your account if you already have created one. If not, go through the signup process and upon checking out you will create an account with a password. Can I change my wines for my Choose Your Own Pack? Yes, please log in to your Account page and change to your heart’s content. Make sure you do it two weeks before your next delivery is due though as we may have been very efficient and got it all packed and ready for you. Can I change the frequency of delivery? Yes, please log in to your Account page and change away. Please note, after switching, we will be in touch with you to confirm when you would like to receive your next pack. Discounts are based on the amount of bottles and/or frequency of delivery. How do I receive my discount on purchases other than wine club? Make sure you log into your account when you are making your purchase online. Once logged in you will receive the discount based on your bottle amount/frequency of delivery. Please note that there are some very special, tiny release wines for which discount won’t be available- like our back vintages …. We are sorry about that, but the good news is, you will be able to have first dibs on buying some. If I upgrade my frequency of delivery will I get a better discount on my purchases? Yes. You will receive discounts based on your bottle amount/frequency of delivery. If I downgrade my frequency of delivery will I lose my ongoing discount from my previous delivery schedule? Yes. Your discounts are based on your bottle amount/delivery schedule. Am I locked in or can I cancel at any time? Are my Credit Card details stored on the site? No. We can’t possibly be trusted with such precious information and quite frankly we don’t want the responsibility. We use professionals to store all credit card information. I have forgotten my password how do I retrieve it? Please navigate to the My Account page by clicking here. On this page, you can click on “Lost Password”. I just need to speak to a real person. No worries. Ring us on 03 5989 2669 or send us an email to cellardoor@paringaestate.com.au with your number and we will give you a call back. Pinot noir yields in 2013 were around our long term average; however the vintage created Pinots with great colour, concentrated flavours and excellent quality. In the winery berries were de-stemmed (100%) and fermented in two-tonne open fermenters. Maturation took place over 11 months on lees in French Oak barrels (50% new).